Watermelon & Berries. I am berry confused. With the time of daylight getting a bit longer each day, school getting ready to end and the temperature becoming less chilly, I know it is getting close to summer time. Boiling temperatures while we go berry picking, mixed with a cool pool and chilled watermelon is something my children, and myself, long for beginning the first warmer day of spring. I told Russ Hickson, GoFresh’s Produce Guru, that I was thinking about researching watermelons and he informed me that they are actually a berry and not a melon. WHAT!!! I thought berries were smaller fruit that we could grab a handful of and stuff in our cheeks? I have to cut watermelon and eat it off the rind. How can this be a berry? I found an article on Live Science by Laura Geggel that helped shed some light on my confusion. WOW! Then my kids and I really love berries because we’re fans of every fruit just mentioned. It will take me a while to accept bananas as a berry through. One of my favorite memories as a child was from the fourth of July. My neighborhood pool would have a competition among adults, usually consisted of my friends dads, to see who could get the watermelon out of the pool first. It was hilarious to watch this green fruit bob and slip between those struggling to claim it. Sometimes the watermelon would make it out of the pool but would be a bit beat up from the event. Regardless, the watermelon was sliced into triangular pieces ready for consuming. As an adult, I have wondered how to pick the perfect watermelon that will have the same delightful sweet taste I remember from those hot summer days. If you have also wondered, here are some ‘Tips from an Experienced Farmer‘ to refresh your memory from last summer. “Look for the field spot: The yellow spot, known as the field spot, is the place where the watermelon rested on the ground. 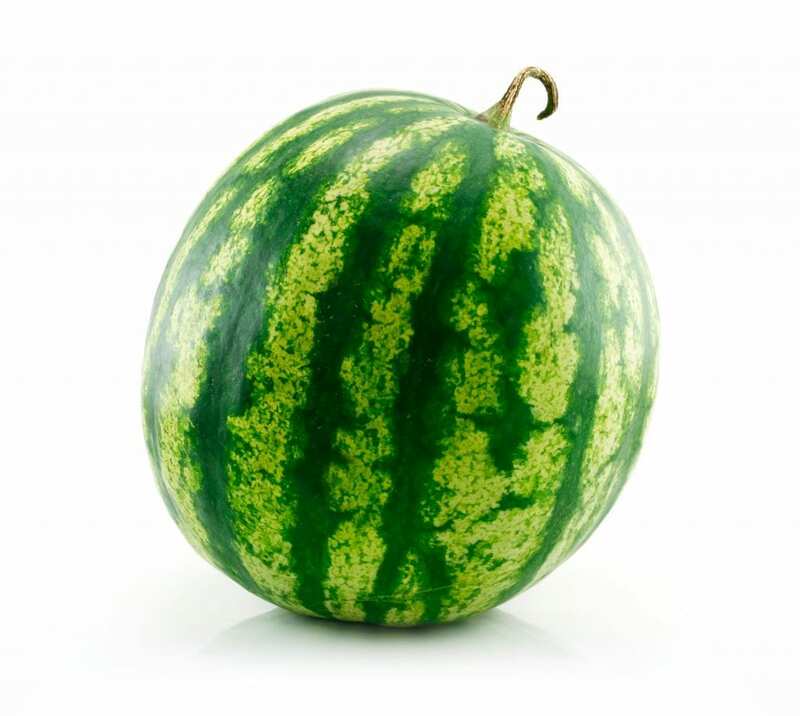 Ripe watermelons always have creamy yellow or even orange-yellow spots, not white. Once you have your watermelon, here are some creative idea of how to prepare it from Sienna Fantozzi at Delish. Have fun in the sun with all the berries!